*UPDATE*- this item sold at the show- many thanks to Dan and the Gallery at the Wauregan! 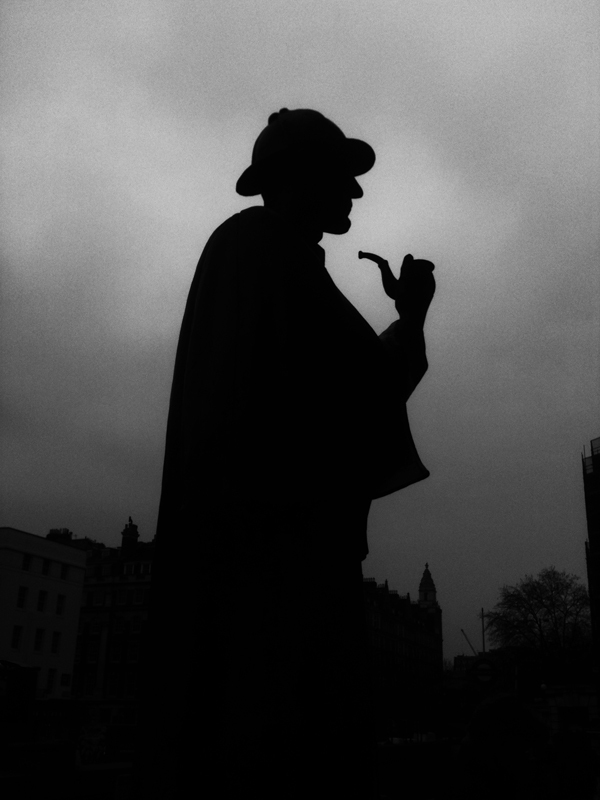 For the “Seed Vision” show in Norwich, I’ve submitted a photo I snapped of the Sherlock Holmes statue on Baker Street outside the tube station in March. It was a dark, grey day and the silhouette was nicely defined against the stormy sky. Dear etchper – thank you for inquiring. This work is owned (copyrighted, all rights reserved) by me, and you will need to pay for its usage. Please contact me at queenlib@gmail.com to arrange this. Thank you. I would only be using it if you let me. Can I use this in an art project of mine?